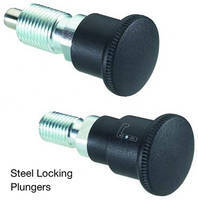 Steel Plungers feature locking design. 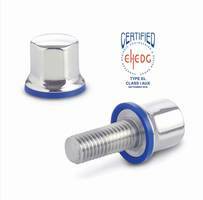 Compliant with RoHS standards, series GN 816 and 816.1 have threaded body of zinc-plated, blue passivated steel; stainless steel plunger pin and spring; and zinc-plated steel lock nut. 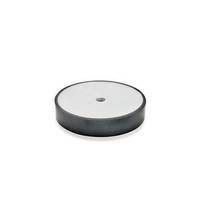 Knob and sleeve are technopolymer plastic (Polyamide PA) with black matte finish and are not removable. For 816 and 816.1 versions, position for pin of plunger is protruded and retracted, respectively, in rest position. Both lock by turning knob, and key version is also available. NEW BERLIN, WI -- J.W. Winco, Inc., a leading supplier of standard industrial machine components, announced it now offers series GN 816 and 816.1 Steel Locking Plungers. 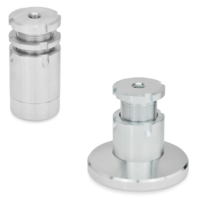 These plungers have a threaded body of zinc-plated, blue passivated steel, stainless steel plunger pin and spring, and zinc-plated steel lock nut. 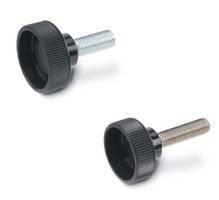 The knob and sleeve are technopolymer plastic (Polyamide PA), black matte finish, and are not removable. The plungers are RoHS compliant. For the 816 version, in the rest position the pin of the plunger protrudes. To retract the pin, pull the knob up against the spring force to the final position and turn it 90° to lock the pin in the retracted position. For the 816.1 plunger, in normal position the pin is retracted. 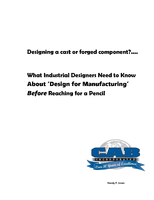 To make the pin protrude, push down to the final position and turn 90° to lock the pin. For both, a type with key is also offered. The key is required to move the plunger in the same manner as the knurled knob type. 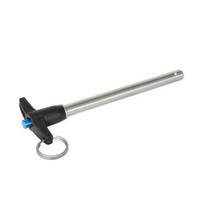 In this version, a cover sleeve provides additional security and safety from unauthorized removal of the locking plunger. J.W. 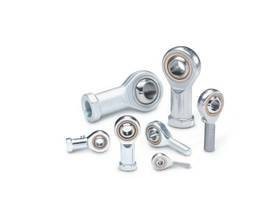 Winco offers an extensive selection of inch and metric size adjustable levers, cabinet U-handles, plastic and steel hinges and locking mechanisms, revolving and retractable handles, hand wheels, hand cranks, conveyor components, leveling mounts, hand knobs, spring, ball and indexing plungers, jig, fixture and fastening components, toggle clamps, metric casters and wheels, universal joints, oil sight glasses, and metric tools for the industrial and commercial equipment industries. J.W. 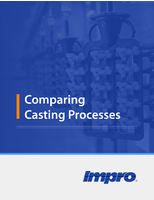 Winco's Web site catalog, with 3D CAD and online buying, is viewable at www.jwwinco.com.